The Program covers the full range of how sound affects us physically, mentally, emotionally and spiritually. You will learn the detailed science behind sound, and you will learn many esoteric techniques from ancient times that still can’t be explained. With 10 instructors you get a full perspective on the field. You will learn a large amount of information on how the Body, Nature and Universe work from a frequency perspective. You will learn how to express your voice with sound and song, and use it for healing and well being. You will also understand how the full range of sound healing instruments work in sessions including Tuning Forks, Crystal Bowls, Tibetan Bowls, and Drums. You will also come to know how various technologies can be incorporated into sessions. You will also understand how to use color, light, geometry, and intention in a session – It is all Vibration. .
We offer a certificate program and a full associates degree program in sound healing and therapy — the study of the effect of sound on human beings physiologically, psychologically, emotionally and spiritually. The certificate program is the first semester of a four semester degree program. The certificate program is a comprehensive curriculum designed to provide students with a broad perspective on this expanding industry, enabling them to focus on their areas of interest. The degree program then goes deeper into each of the areas of study with additional classes on Research, Clinical Ethics and extensive time practicing on clients. The certificate gets you to the point where you can utilize a variety of sound healing techniques in sessions, whereas the Degree program trains you to be a master Sound Therapist. FREE VIDEO EXAMPLES OF ONLINE CLASSES (These are classes within the Overview Course of the Sound Healing and Therapy Certificate Program). Even though this is from an online class, it will give you a good example of how the classes work at the Institute. This is the first class of the semester on Resonance with David Gibson. 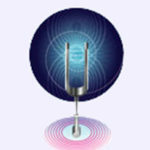 It includes information on the physics of sound and ends with the frequency of God or Source (all frequencies in the Universe). Note that this class is a little more technical. Many of the classes are very experiential. Also David is only one of 12 instructors. Each instructor has their own unique style. The program at the Institute starts 3 times per year (January, June and September). The January and September starts take 3.5 months to complete and you must be completed within 5.5 months. The June “summer intensive” version takes 3 months to complete (10 days in June and 9 days in August) and must be completed within 4.5 months. 15 Week semesters begin January, May, and September. Class is totally immersive – 10-9:30 each day (with ample breaks). You go into the zone and go deeper and deeper. It’s a very powerful workshop. The Intensive in June is 1/2 of the full Certificate Program. Though not required you can do a second summer intensive in August to complete the entire Certificate Program. CLICK HERE to checkout feedback on the Summer Intensive from our graduates. Classes are limited to 25 people, so classes are small enough to receive personal attention and address specific questions and concerns of each student. The whole Certificate Program is $2600 CLICK HERE for more info on tuition and payment plans. The Overview course gives you an understanding of the basic structure of sound, and how sound can be used for various intentions –physically, mentally, emotionally, and spiritually. We look at the history of sound healing and where the future is leading. We begin with the physics of sound, resonance and the harmonic structure of sound. We do a thorough examination of the physiology of the body and it’s relation to the emotional and spiritual bodies — and they work with sound and energy. We also explore the use of sound to bring people into various states of consciousness and shift individuals into particular brainwave states, such as delta, theta, alpha and gamma. The classes on Sound Healing Instruments (in the Overview Course) focus on using the Crystal Bowls, Tibetan Bowls, Tuning Forks, and a full range of other instruments for healing and raising consciousness. 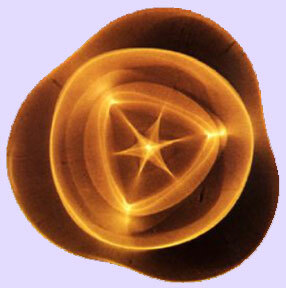 You learn about archetypal frequencies and how different tonal qualities affect us. You also learning how to play each instrument and various ways to use them in a sound healing session or event. The Inner Awareness and Transformation course is about using sound as tool for your own inner work. The clearer of a vessel you are, the cleaner the energy that you transmit when working on people or clients. This work is about releasing deep patterns emotional and mentally. It’s about healing yourself physically. It’s also about bringing more love and spirit to your work. As you experience these techniques for yourself, you also learn how to use them to help others heal themselves. We then embark on many experiential and transformative workshops using sound and intention — including those that combine sound with movement. The Inner Music course is about seeing Music as the structure of the nature and the Universe — and us physically, mentally, emotionally and Spiritually. You will learn how musical intervals are the relationship between any two things in the Universe — whether that be two planets, two plants, two crystals, or two people. You then start to see the harmony or dissonance in a whole new light — with no judgement. You then understand music as a way of transforming relationships. The Voice, Toning, Chant and Mantra course focuses on how to use the voice for making a full range of sounds — for healing others and yourself and to create a field of coherent sacred space. We practice toning, chants from all over the world, the power of mantra, and overtone singing. The Sound Consciousness and Spirituality course is designed to give you an deeper understanding of how healing occurs, and what higher consciousness is in the first place. We look at how everything is connected at the quantum level, mathematically, and spiritually — sound, music, color, light, geometries, chemistry, physics, consciousness and spirituality — and how you can add these components to a Sound Healing session. By studying the correspondences between all of these areas we see the interconnectedness of all human beings to each other, to nature and to the universe. Understanding things at a deeper level helps you to be more in alignment with the true nature of reality. The more you are in alignment with reality of nature, and the natural flow of spirit, the more powerful your sound work will be. For those taking the full Certificate Program, this class is like “homeroom” for all of the other classes.